Arri have announced the largest member of the Skypanel LED family. 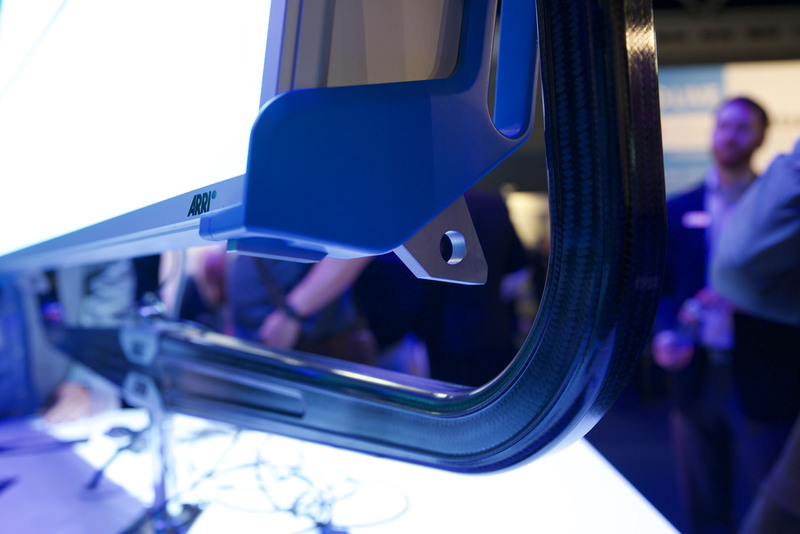 The Arri SC360 is, to quote the company, “a beast of a light” – the surface area of the S360-C is nearly six times larger than the S60 and produces soft light with a 105º beam angle. The light will wrap around large objects and also throw much farther than the smaller SkyPanels. The S360-C is by far the biggest fixture in the Skypanel range. The fixture produces 120,000 lumens and as it consumes 1,500W it can be used from a regular domestic electricity supply. Arri claim the S360-C is twice as bright as a 4K tungsten soft light and over three times as bright as a 12K tungsten space light. 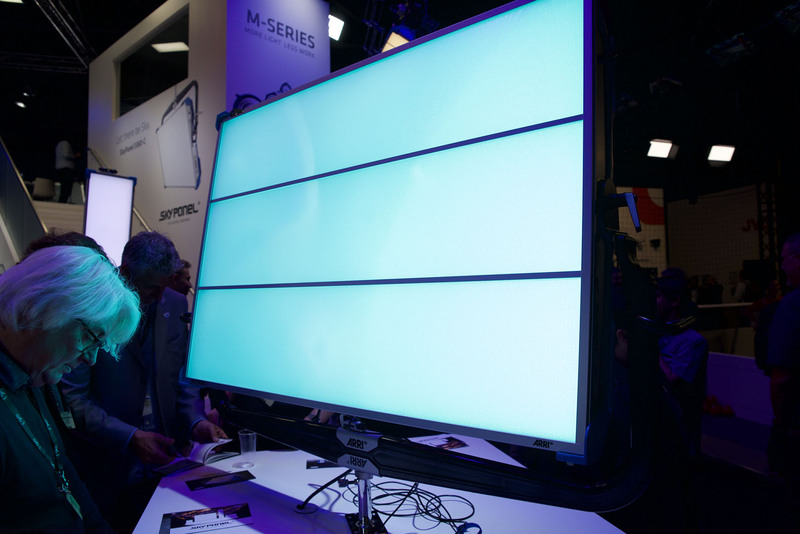 Exchangeable diffusion panels make the S360-C even more flexible. 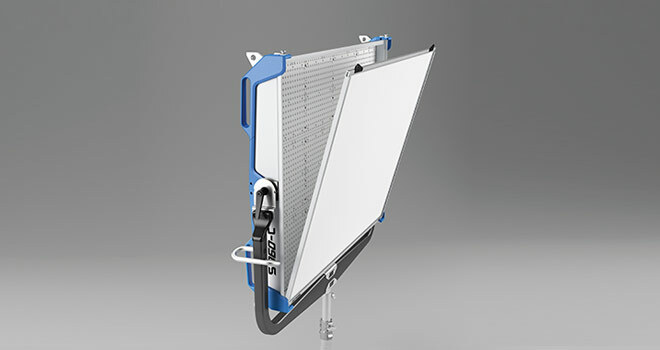 Optional exchangeable diffusion panels come in lite, standard, heavy, and intensifier versions. 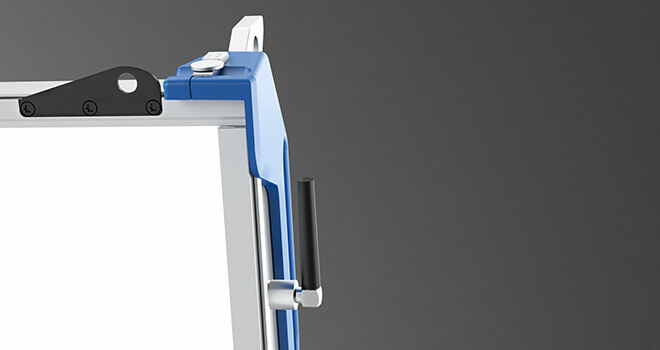 The intensifier increases the fixture’s brightness by 50%, enabling the light to be thrown even farther. 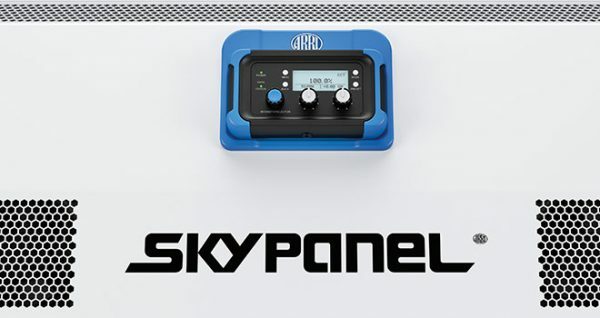 You’ve got several options to control output, as on other Skypanels: DMX, RDM, Art-Net, sACN, 5-Pin XLR, and Ethernet. The S360-C also features wireless DMX control built in to the unit. 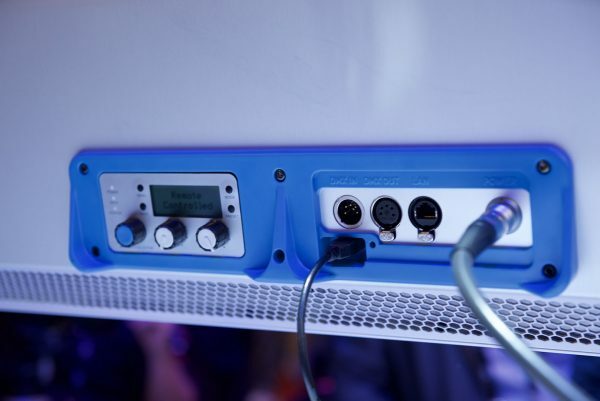 The S360-C also adds LumenRadio wireless DMX control. The chip is built in to the fixture so you just need to add a compatible controller for remote DMX control without running a DMX loop. The docking panel on the back of the light to store the wired remote. There’s also a neat magnetic docking port for the light’s wired remote control on the back of the fixture. The S360-C is colour tuneable from 2800K to 10,000K with plus/minus green control. It also uses an RGBW array of LEDs so you can dial in precisely the colour of light you want. No metal here: the S360-C gets a fancy carbon fibre yoke. Last but not least the S360-C has a fancy carbon fibre yoke that Arri say is around half the weight of a steel model but that can support 10 times the weight of the fixture. The S360-C is probably going to be a rental option for most of us, as light kits start €14,400 and go up to around €22,000 if you want an accessory package as well. In for a penny, in for a pound I say.